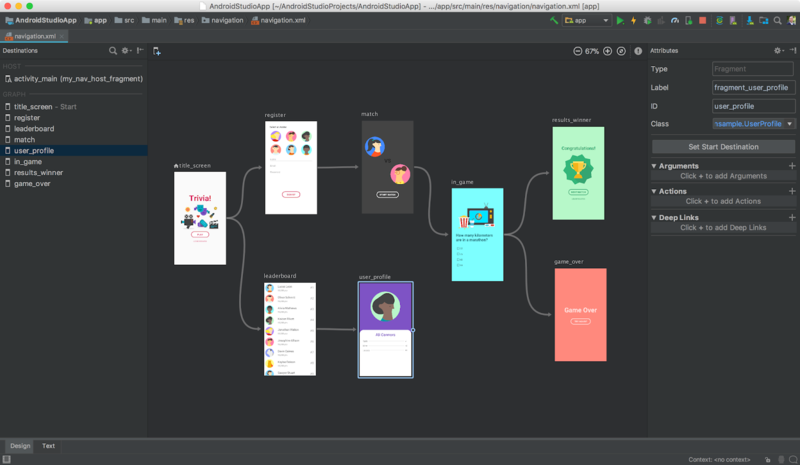 Android Jetpack is a set of libraries, developer tools and architectural guidance to help make it quick and easy to build great Android apps. It provides common infrastructure code so you can focus on what makes your app unique. 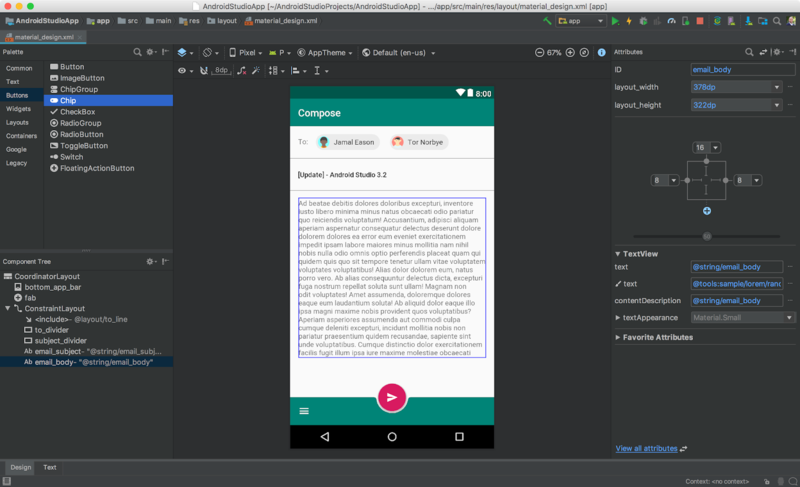 Android Studio 3.2 includes a wide set of tools that support Jetpack from a visual Navigation Editor that uses the Navigation API, templates for Android Slices APIs, to refactoring tools to migrate to the new Android support libraries in Jetpack � AndroidX. AndroidX Refactoring Support - One of the components of Jetpack is rethinking and refactoring the Android Support Libraries to a new Android extension library (AndroidX) namespace. 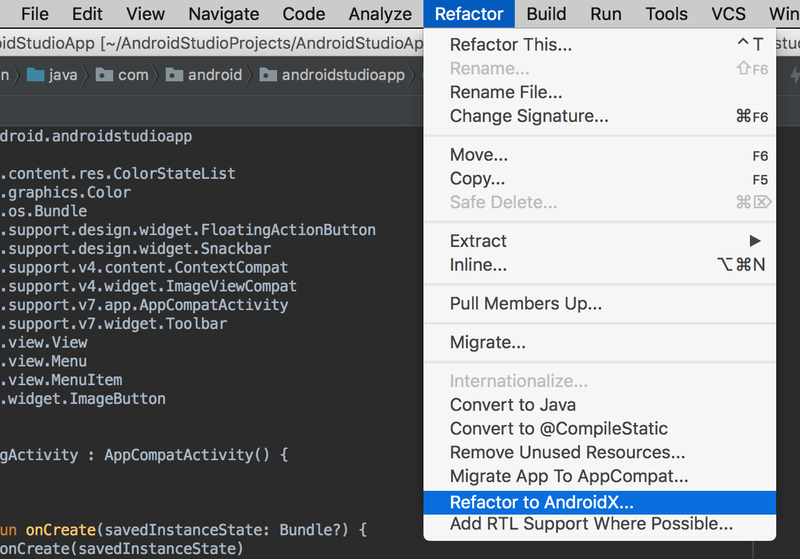 As a part of the early preview of the AndroidX, Android Studio 3.2 helps you through this migration with a new refactoring action. To use the feature, navigate to: Refactor ? Refactor to AndroidX. 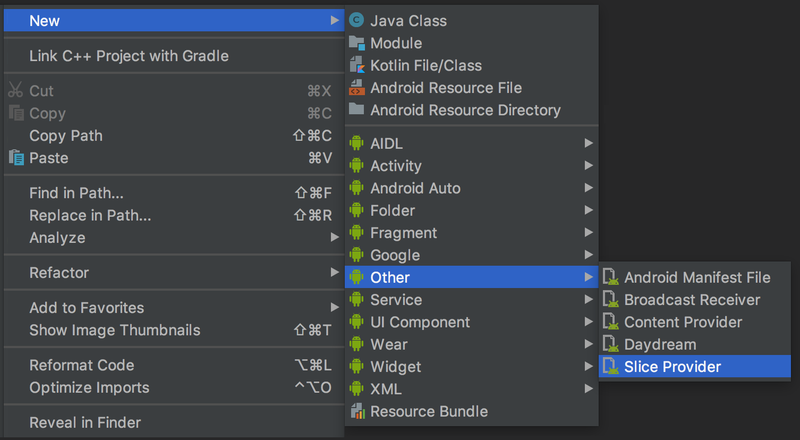 As an additional enhancement to the refactoring process, if you have any maven dependencies that have not migrated to the AndroidX namespace, the Android Studio build system will automatically convert those project dependencies as well. You can manually control the conversion process by toggling the android.enableJetifier = true flag in your gradle.properties file. While the refactoring action supports common project configurations, we recommend that you save a backup of your project before you refactor. Learn more. Slices support - Slices is a new way to embed portions of your app content in other user interface surfaces in the Android operating system. Slices is backwards compatible to Android 4.4 KitKat (API 19) and will enable you to surface app content in Google Search suggestions. 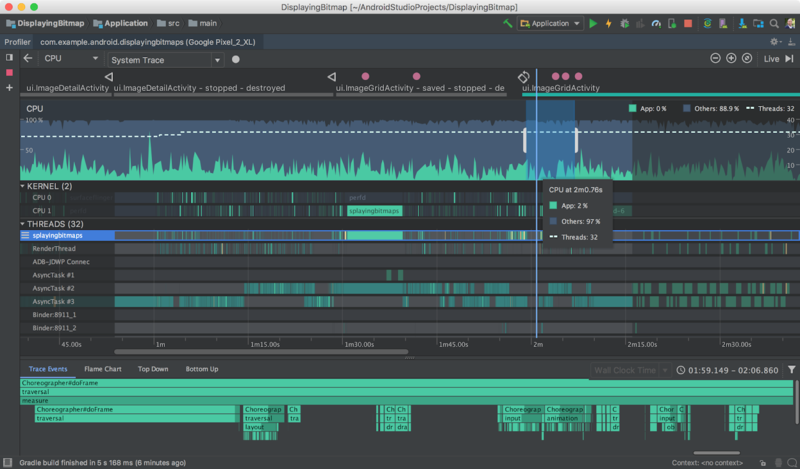 Android Studio 3.2 has a built in template to help you extend your app with the new Slice Provider APIs as well as new lint checks to ensure that you're following best practices when constructing the slices. To get started right-click on a project folder, and navigate to New? Other? Slice Provider. Learn how to test your slice interactions by checking out the getting started guide. 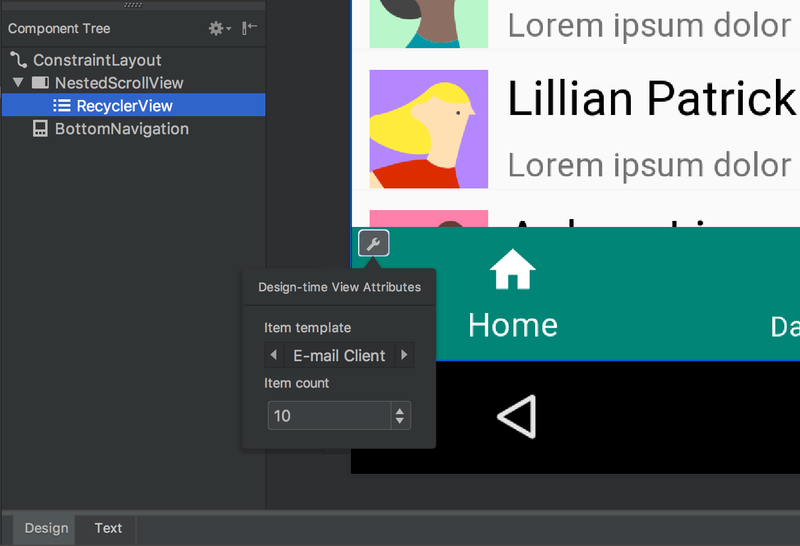 What's New Assistant - Android Studio 3.2 has a new assistant panel that opens automatically after an update to inform you about the latest changes to the IDE. You can also open the panel by navigating to Help ? 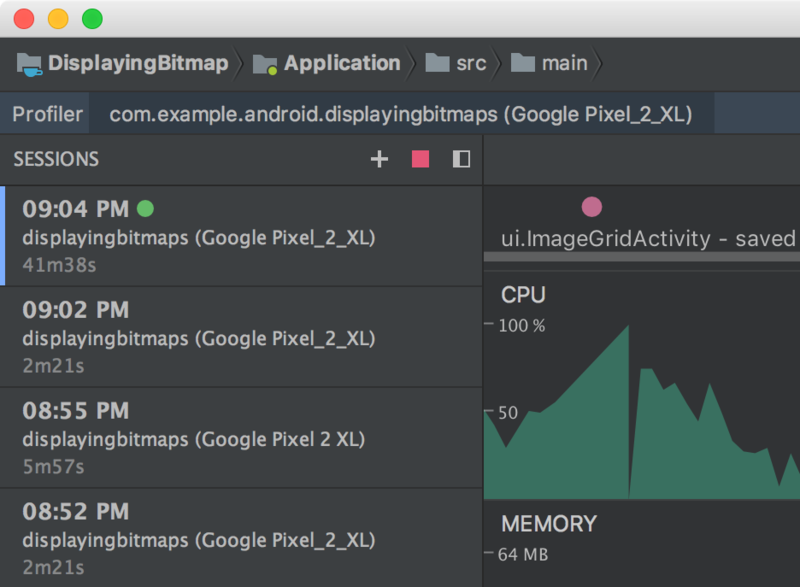 What's New in Android Studio. 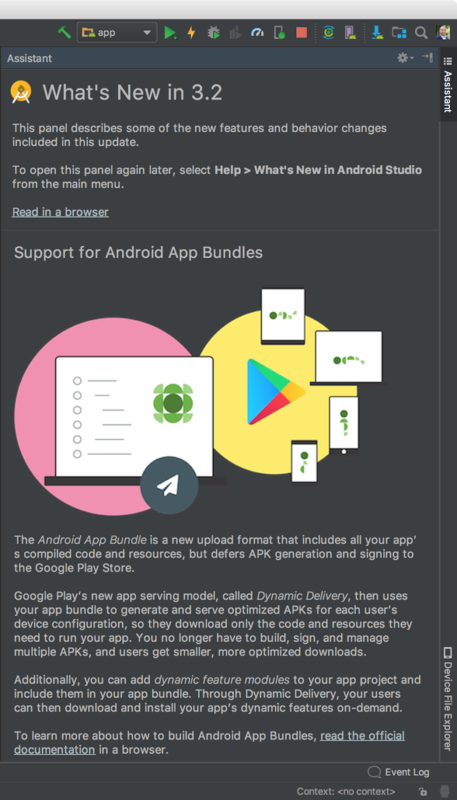 Android App Bundle- The Android App Bundle is the new app publishing format designed to help you deliver smaller APKs to your users. Google Play has a new Dynamic Delivery platform that accepts your Android App Bundle, and delivers only the APKs that you need on a specific device. 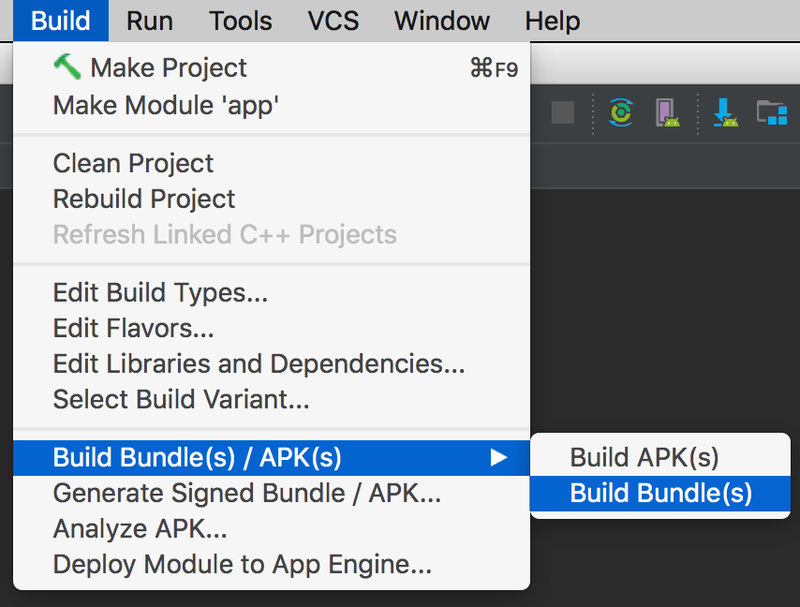 Android Studio 3.2 enables you to create and test an Android App Bundle. As long as you are running the latest Android Gradle plugin (com.android.tools.build:gradle:3.2.0-alpha14), you can rebuild your code as an app bundle and get the benefit of smaller APKs based on language, screen density, and ABIs with no changes to your app code. To get started, navigate to Build ? Build Bundle / APK or Build ? Generate Signed Bundle / APK Learn more. 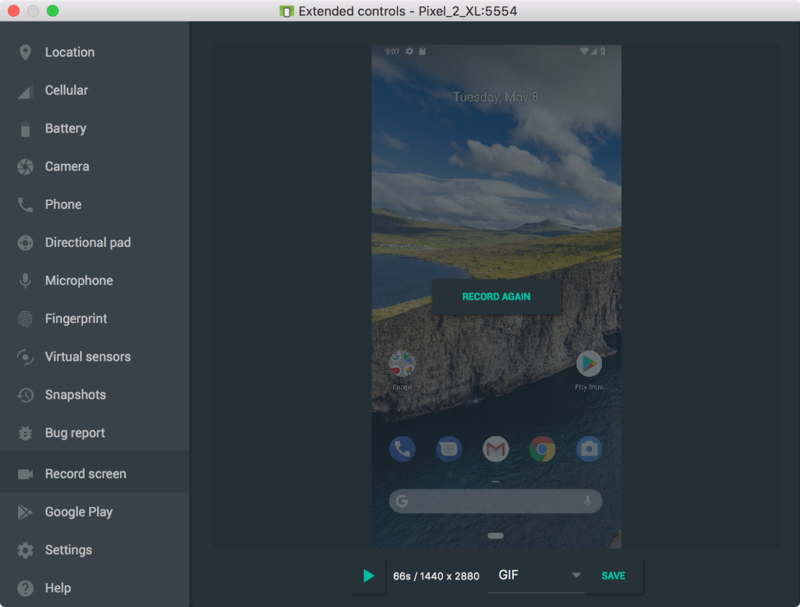 ADB Connection Assistant - To help troubleshoot your Android device connections via ADB, Android Studio 3.2 has a new assistant. 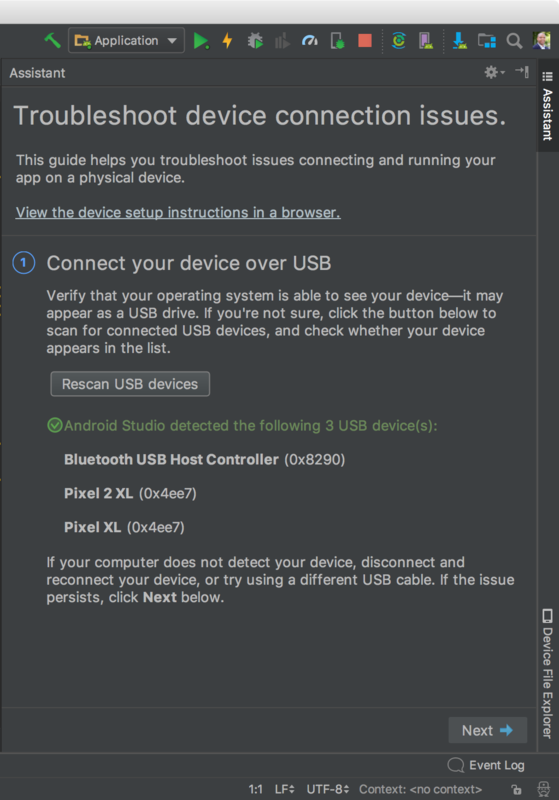 The ADB Connection Assistant walks you through common troubleshooting steps to connect your Android device to your development machine. You can trigger the assistant from the Run Dialogue box or by navigating to Tools ? Connection Assistant . We appreciate any early feedback on things you like, and issues or features you would like to see. Please note, to ensure we maintain product quality, the features you see in the canary channel may not be available in the next stable release channel until they are ready for stable usage. If you find a bug or issue, feel free to file an issue. 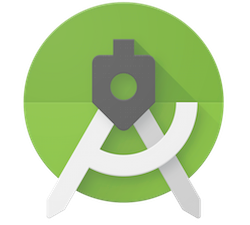 Connect with us -- the Android Studio development team - on our Google+ page or on Twitter.